Welcome to the Summer 2016 newsletter from Rhys Vineyards! The last of the great 2013s! While we would like to avoid the “saved the best for last” cliché, it is hard not to think about those words when considering this release. Specifically, this offer includes a terrific trio of 2013 Pinot Noirs from Horseshoe Vineyard, Family Farm Vineyard and the much anticipated Swan Terrace. We believe that each of these wines represents the pinnacle of each of these estate site’s capability and character. Like our previously released 2013s, these three Pinot Noirs exhibit the surprisingly fresh, supple, red-fruited character of this drought-driven vintage. For more on 2013 conditions, please click here to read our prior newsletter here. Two new bottlings to introduce the 2014 vintage! Looking over the new plantings at Bearwallow Vineyard. After intensive vineyard planning and the subsequent years of waiting for the grapevines to reach production, it is always exciting to add a new offering to our lineup and this release features two first-time releases from Bearwallow vineyard. In addition to Pinot Noir, we have been excited about the potential of Chardonnay at our Bearwallow vineyard in the cool “Deep End” of Anderson Valley. While the site has ideal soil and climate conditions, there were no nearby Chardonnay plantings and we felt the potential for a great and unique expression of Chardonnay was still untapped. With this in mind as we expanded the vineyard in 2009, we decided to plant 8 acres of Chardonnay comprised of a field selection of the best vines from Alpine Vineyard. We are very happy with this first rendition of Bearwallow Chardonnay and hope you enjoy it as much as we do. Meanwhile, the expansion of Bearwallow’s Pinot Noir acreage, from 6 acres to 22 acres, has enabled us to make a less expensive Pinot Noir from this site. The bottling is not vineyard designated though it is entirely comprised of estate grown fruit from Bearwallow vineyard. In addition to being an outstanding value, the 2014 Rhys Anderson Valley Pinot Noir offers a delicious, earlier-drinking example of Pinot Noir from this terrific site. Made from a selection of the best free run barrels, this is a great introduction to Chardonnay from hillsides of the “Deep End” of Anderson Valley. It offers the verve and balance that our Chardonnay customers expect with delicious, early charm and a spicy finish that reminds us of the Bearwallow Pinot. 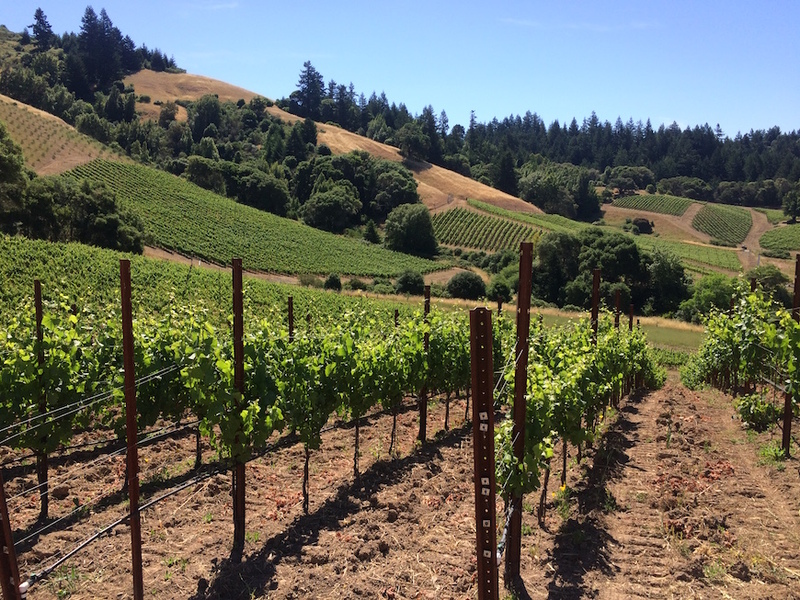 Our Horseshoe Vineyard Pinot has been moving from strength to strength over the last few years, due primarily to vine age and our increased understanding of how best to farm it. The 2013 shows a level of sophistication we’ve yet to see from Horseshoe, with an intense core of savory and soil-inflected tones, with supporting red fruit and a flinty, mineral finish. This can be enjoyed with air, but patience will be rewarded for those who choose to cellar this beauty. 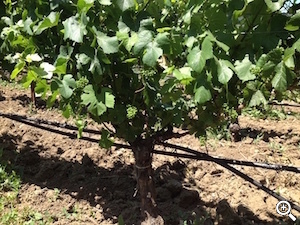 The recent vintages of Family Farm show the benefit of our continued evaluation of clone and rootstock combinations. Since 2007, fully half of the Family Farm Vineyard has been either replanted or regrafted to material that better reflects the site characteristics we love. The 2013 shows these characteristics in spades, with enchanting floral and black cherry aromas with a deeply-pitched core of truffle and earth. Always a favorite for its ability to drink well young yet age effortlessly, and 2013 vintage is among the very best we’ve produced. The Swan Terrace has had a loyal following from day one, as its purity and elegance reminds us why we fell in love with Pinot in the first place. The Swan has an innate ability to show both restrained and concentrated at relatively low alcohol, and while tempting when young, it truly rewards cellaring. For us, the Swan Terrace is a true distillation of an ideal site uncluttered by winemaking. The 2013 shows the hallmark rose petal and red fruit overtones with a core of chalky minerality and supple tannins. We couldn’t be more excited about this first appellation Anderson Valley Pinot, as it reflects Rhys’ site-specific aesthetic in an early drinking package. Quintessentially Bearwallow in nature, it shows delicate and harmonious red fruit combined with the spicy and mineral finish we love from this site. While ready to drink now, it should continue improving for the next 3-5+ years. This is another outstanding vintage of exotic and complex Syrah from our high-altitude Skyline Vineyard. Showcasing the concentrated spicy, peppery and meaty elements of Skyline, combined with the intensely mineral red and black fruit components typical of the site, this vintage of Skyline should prove a worthy cellar candidate for 10+ years. 2016 fruit set at Family Farm Vineyard in the regrafted suitcase selections. Along with Alpine vineyard, the development of Family Farm vineyard started in the year 2000. As we began to understand the site better, we realized that we could increase quality with a selection of smaller-berried, heritage and suitcase Pinot Noir cuttings. Regrafting these grapevines was not an easy choice since it meant that the vines would not be fully productive for 2 or more years. Nevertheless, between the years 2007 and 2010 we regrafted over half of the 6 acre vineyard. Fortunately, after this short-term pain was over it became clear that these choices lead to a definite increase in quality. Today Family Farm is mature with stout vines and the wine is showing increasing depth with an almost old-vine like breadth in the midpalate. In preparation for this release, we thought it might be a good time to open a vertical of Family Farm Pinot Noir starting with the first vintage that included some of the new grafts. This vertical showed the character of a couple of extreme vintages as well as a steady increase in quality culminating in the 2013 and unreleased 2014 vintages. 2010– While the fruit is maturing this wine still has some youthful structural elements that need time to resolve. The whipsaw of cool and hot weather in 2010 lead to a challenging harvest, but we were able to get Family Farm when it was ready. This shows firm red fruit and more structure than the 2011, and will reward further cellaring. 2011– This example of California’s coolest recent vintage was ready to go. It is an earlier drinking lighter styled example of Family Farm’s black cherry and loam theme. 2012– This vintage showed a big step up in quality. The regrafted sections are fully contributing at this point and the wine shows more depth, intensity and balance than we’ve seen in past vintages. 2013– This is the best vintage of Family Farm to date. It drinks extremely well now and will age beautifully. The mid palate breadth is terrific and offers loads of delicious black cherry and earthy complexity. After exceptional production in 2013, the 2014 vintage featured good (if not terrific) production from our mountain sites. Now that the wines are in bottle it is clear that the quality is comparable to the 2012 and 2013 vintages. We are very much looking forward to comparing the wines from this exceptional trio of vintages in a few years. Meanwhile 2015 was an extremely low-production year in the Santa Cruz Mountains and there is not enough production to allow us to offer Futures from Alpine or Horseshoe vineyard from this vintage. This means that we will only offer 2015 Futures from Bearwallow vineyard over the next year. Release schedule changes now complete! In the past our offerings were timed to coincide with the fairly short good-weather winter shipping window and some customers have asked if it is possible to provide more time between these assaults on their credit cards. At the same time, we would like to be able to keep all regular-release wines at least one year in bottle before shipping. In order to accomplish this we have released the 2013 wines in three different offerings (versus the normal two) and this is the last of those releases. After this, the schedule of regular offerings will feature two offerings per year occurring in November and June. This schedule will give as much time as possible between releases as well as allow us to have orders packed and ready when the right shipping weather occurs. In vintages with enough production, Futures will be offered sometime between October and bottling in March. In November of this year we will release the first tranche of 2014 vintage wines with the remainder released at this time next year.